Back to school after the holiday break can be a terrifying time for many children, particularly those in the foster care system. But thanks to dedicated Townsville Pyjama Angel volunteer Robyn Narratone one child’s experience has been far more positive. Lexi* was just two-years-old when Robyn was first matched as her Pyjama Angel. Fast forward three years and countless hours of reading together and playing educational games, Lexi has soaring confidence and Foster Carer Sarah* said she couldn’t be more grateful for the support Robyn has provided. “When our two-year-old began to develop an interest in language and books, we referred her to the Pyjama Angel Program and her Pyjama Angel Robyn has been such a great support to her ever since,” she said. Sarah said one of her very favourite moments was coming home from work and hearing little Lexi reading ‘Where is the Green Sheep’ by herself for the very first time. “Weekly sessions have provided effective early intervention to support the development of a range of skills for school readiness, including following instructions, focusing on tasks, being able to talk and listen, identifying numbers and letters, basic manners, writing her name and taking turns,” she said. The Pyjama Foundation North QLD regional coordinator Mel Vaughan said quality interaction with adults in the early years is vital for educational success. “We have a number of Pyjama Angels in our program, who are matched with toddlers or children about to start school,” she said. “These volunteers provide positive learning experiences in a safe environment and build a love of reading and learning that will hopefully transfer to formal schooling experiences. “Robyn sang simple nursery rhymes to Lexi, played counting games, read books, improved fine motor skills through finger painting and play-dough and completed puzzles. Children in out of home care often lack interest in learning and find difficulty in concentrating and staying on task. With 92% of children in care below average reading skills by the time they are seven years of age and struggle to catch up, it is important as mentors to help our children build and train their ‘concentration muscle’. Here are some tips for our Pyjama Angels to implement in visits to help their children stay on task. It can be a good idea to create a plan for your visits. At the beginning of your visit you can work with your child to write out a set plan for the visit. This gives both you and your child the opportunity to decide what you will aim to achieve within your visit. When setting a plan or just completing tasks, it is important to set appropriate time lengths for specific tasks. As a Pyjama Angel, you will get to know the typical time length your child will concentrate and focus on a task. Use your understanding to set appropriate time lengths on tasks you aim to complete. When aiming to complete a task for a specific time, it can be helpful to utilise timers or stopwatches. Clocks or stopwatches can provide a visual aid for children, and help them understand when a task will finish. It is also important to ensure that you build in planned breaks. After spending some time concentrating, it is useful to take a break – whether that be a small physical break such as throwing a ball around or trying a Brain Gym exercise. 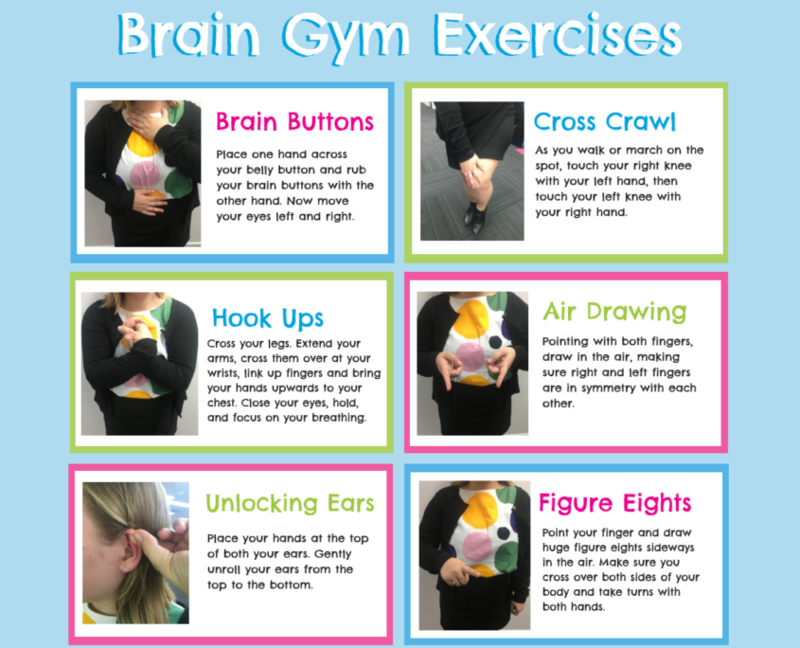 These exercises can be utilised if child become distracted or simply as a planned break. These small physical activities will re-engage the brain and can help a child re-focus on a set task. Incorporating these tips will hopefully see your visits become more productive and time efficient, though it it important to remember that every child is unique and requires different techniques. Be patient and kind and see what works best for you and your child during your visits. If you ever feel stuck and need any assistance or tips, our team is available for a chat at 07 3256 8802 between 9-5pm Monday-Friday. One week ago, we hosted the night of all nights — an evening of glitz, glam and giving back. Guests came from as far as Western Australia to celebrate The Pyjama Foundation’s Big Dreams Gala Ball and raise much needed funds for children in foster care. Attendees were met with some of Brisbane’s best views, with the balcony of Room ThreeSixty at QUT providing a perfect outlook to the Story Bridge and Kangaroo Point. 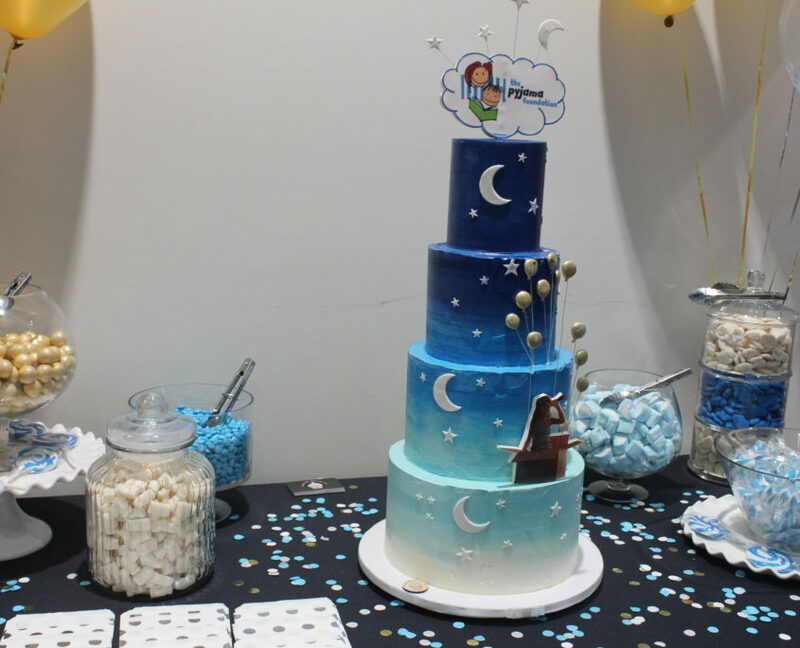 The theme for this year’s event was inspired by the very core values of The Pyjama Foundation — every child should have the opportunity to dream big and go far. Each child should be given the tools to follow their wildest dreams! Children living in out of home care often bounce between different homes and to different schools, which can affect their opportunities to read and learn, causing them to fall behind their peers academically. Dreams are no good if they remain just dreams and the Big Dreams Gala Ball was for the 52,000 Australian children living in foster care, with a focus on letting them know that their dreams and desires are just as valid as the next child’s. 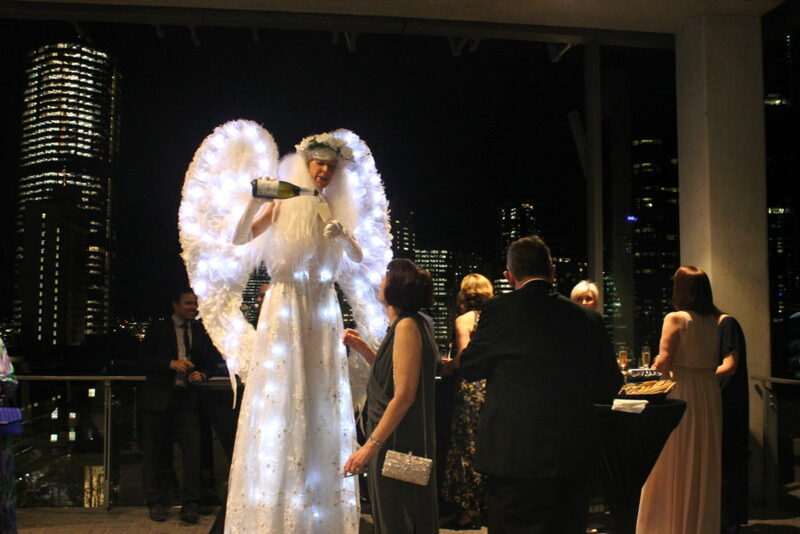 Our guests were met at the door with a 9ft angel pouring bubbly for each willing patron (see below if you don’t believe us! ), live entertainment, a photobooth setup worth marvelling at and a constantly stocked candy bar. It was a magical start to the evening! We were lucky to be joined by former and present Pyjama kids, as well as many of our Pyjama Angels who continue to inspire us every day. Senior Executive Director, Accommodation, Respite and Forensic Disability Services at Department of Communities, Disability Services and Seniors Matthew Lupi was the entertaining MC for the evening, surprising guests with dream themed trivia between meals. Matthew welcomed the Honourable Di Farmer, Minister for Child Safety, Youth and Women and Minister for the Prevention of Domestic and Family Violence to give a powerful address to start off the evening. Guests were thrilled with the banquet-style dinner, flowing beverages and incredible prizes. Our token instant win mystery envelopes were a hit again this year, with everyone walking away a winner thanks to our incredible prize sponsors! Raffle tickets were available to purchase on the night with more amazing prizes up for grabs, those who won the accommodation in Phuket and the Lamborghini driving experience were envied by all! Our live auction also went off with a bang thanks to our friends at Watt Realty who got the crowd rearing for our big-ticket auction items! Accommodation on the ski slopes in Canada, a stay in a five-star lodge in Queenstown, and a private chef dinner in your own home all sold at generous prices to those in the room. “Cathy has been visiting me for almost five years. The things we do together are read, play sport, watch movies, play iPad games, play with kinetic sand and sometimes go to the skate park. We have dinner together every week,” he said. “I look forward to Wednesdays. Every Wednesday I ask mum, ‘Is Cathy coming today?’. I like Cathy a lot. There was so much love, laughter and great acts of generosity on the evening, to which we thank each person who attended. It was truly a wonderful night and we are so thankful to have spent it with so many people who are crucial to our foundation. Thank you for supporting The Pyjama Foundation’s Big Dreams Gala Ball, we couldn’t have pulled it off without your support and we hope to see you all again next year.